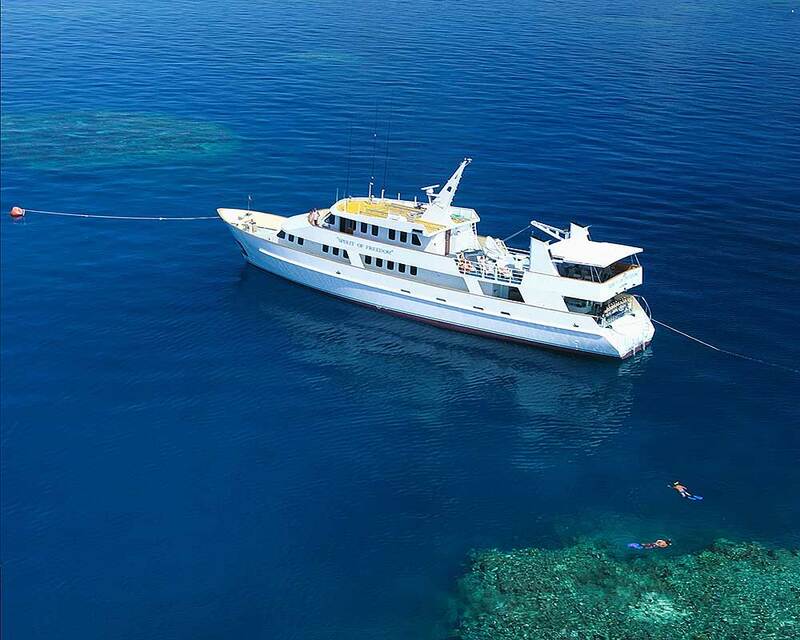 Spirit of Freedom is a 37m live-aboard dive cruise vessel, based in Cairns, northern Australia. 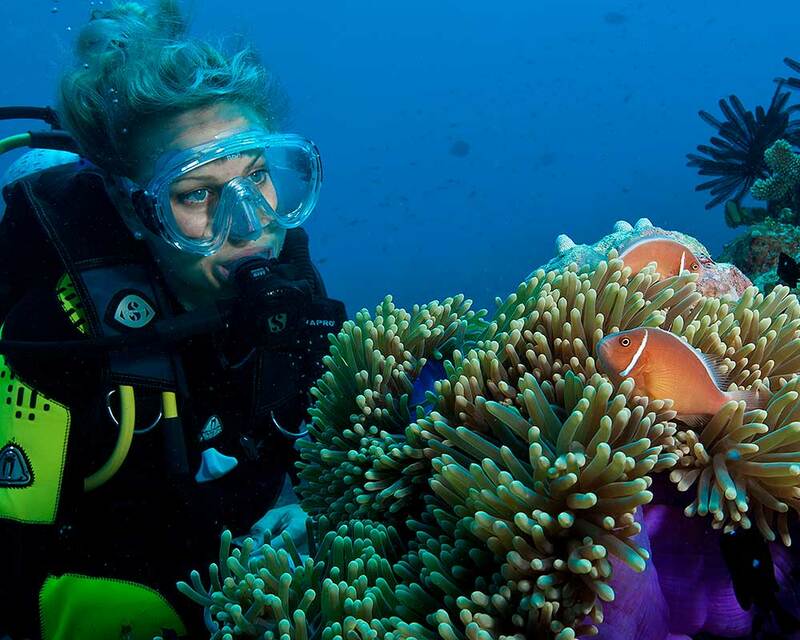 3 to 7 day expeditions travel to the remote Ribbon Reefs, Coral Sea Reefs, and Far Northern Great Barrier Reef. 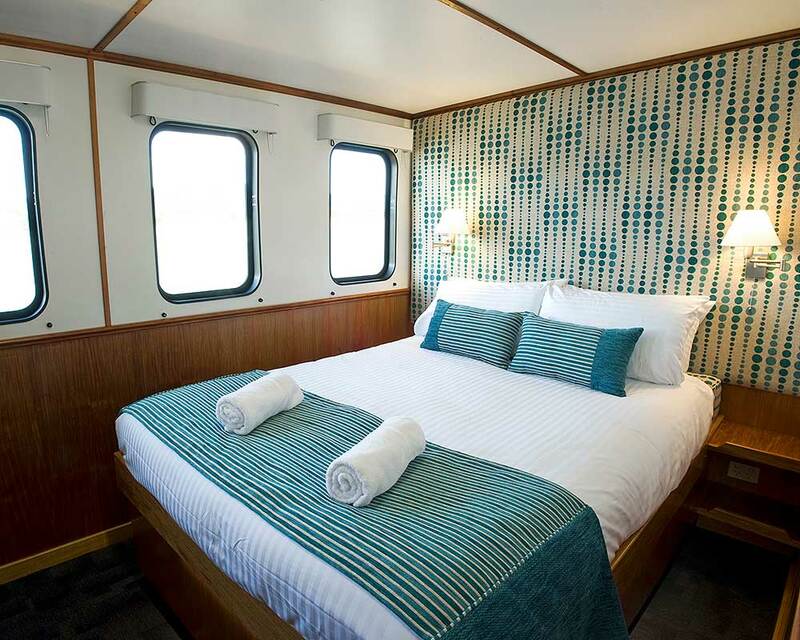 Departing from Cairns in Northern Australia, the Spirit of Freedom ventures far beyond the reach of day trip vessels to explore the seldom visited dive sites of the northern Great Barrier Reef and remote Coral Sea Reefs. 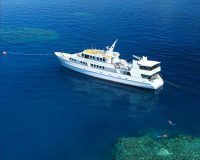 Shark dives, Potato Cod feeding, sheer walls laced with massive soft corals, manta-rays, minke whale encounters and abundant, healthy tropical reefs, rich with marine biodiversity, are just some of the highlights you’ll experience when you join our dive tours.